Just as a note, I use a stovetop panini pan, but you can use two skillets, a George Foreman Grill, or an electric panini press or griddle thing. Sometimes, I am feeling a “ham” & cheeze sandwich….the fancy way. I use this recipe for spreadable baked “brie” and this recipe for ham style seitan. This batch turned out a little purple nurple sort of. If you play with the beet powder and natural red coloring you can get it to look more pink. 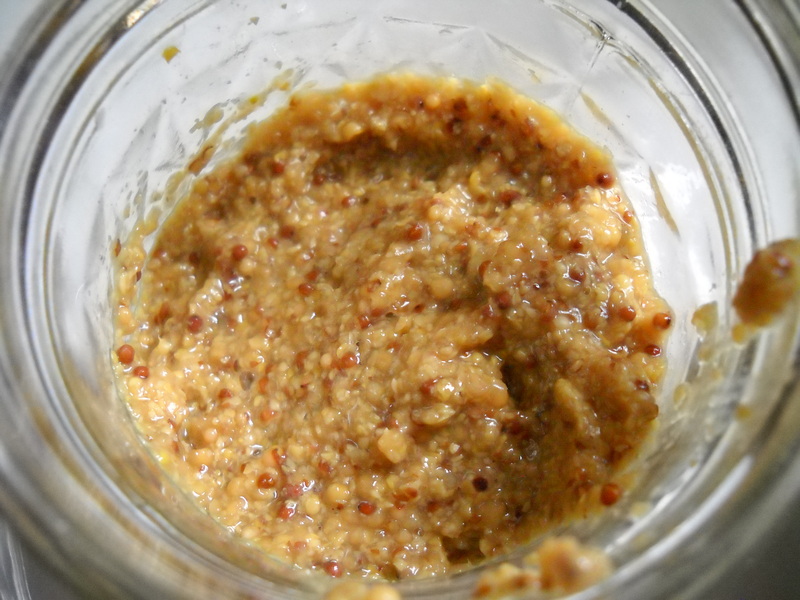 You can also pick up some brown and yellow mustard seeds to make your own mustard at home. You can add anything you want like beer or fresh herbs. You let the seeds soak with vinegar and some other goodies for a few days and then blend. Then, you have amazing, gourmet homemade mustard. I used part vinegar and cognac to make this mustard I used for this sandwich. Top with some arugula or mesclun. I always make sure to spread a good layer of Earth Balance on my bread for the most delicious panini, or brush some oil on it….although I prefer the Earthy B method. Tiffany and her husband Eric often times have made their own bread in the past. This is always a good idea when you want the most delicious panini. 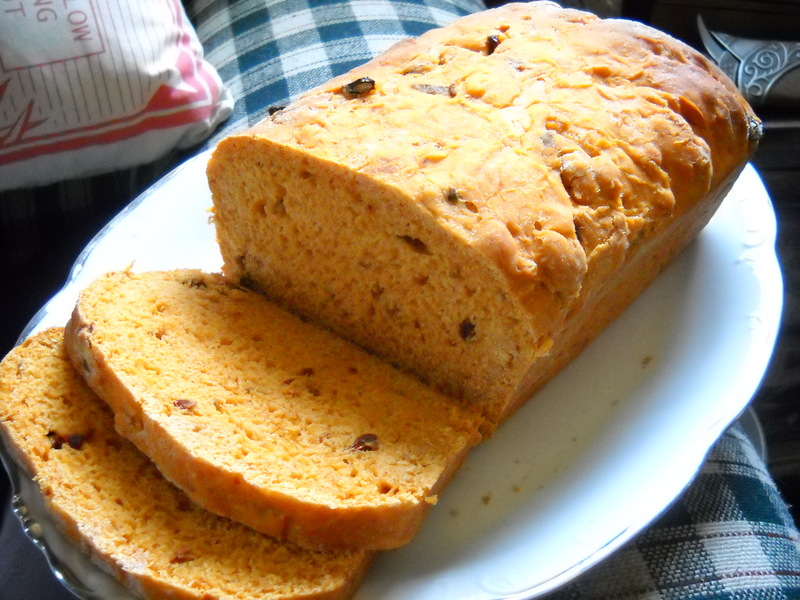 I made some Tomato Bread with bits of sun-dried tomato baked in. I can’t find the recipe, but you can just add tomato paste and bits of sun dried tomato to another bread recipe you have on hand to come up with something pretty similar. 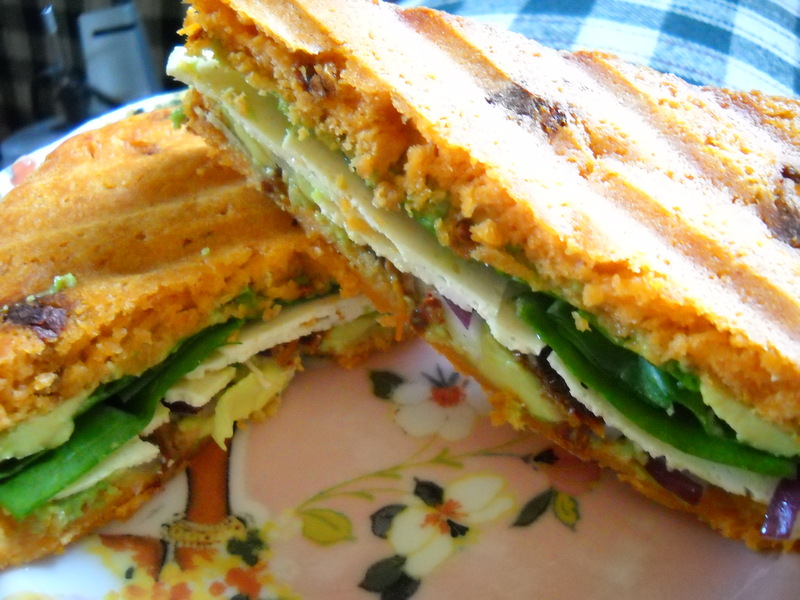 I then used that bread to make an avocado panini, with onions, spinach, vegan cheeze and a layer of homemade hummus. 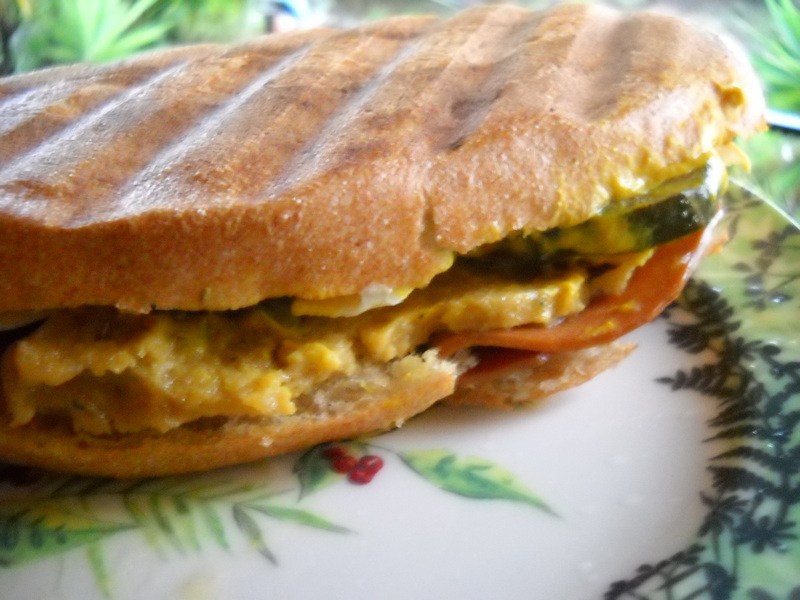 There was an issue of Vegetarian Times a few months back that had some panini ideas. One of them was for a panini made with chickpea salad, golden beets and apples among other goodies. I loved it so much that I felt compelled to share it on the Vegetarian Times facebook page and guess what? They printed my comment in the following magazine. Yay. 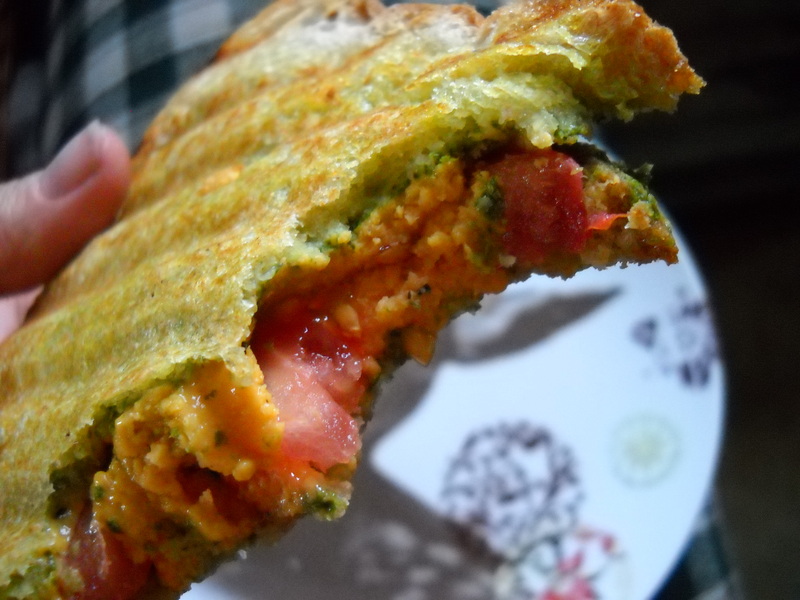 So, basically, this probably has to be my signature panini from now on and I will make it for whoever wants to try it 🙂 UPDATE: VT Posted the panini recipe here. I realize it looks like a regular sandwich and not a panini, but I did grill it. The ciabatta I used was really hard to press down on though. Paninis don’t always have to be savory either. You can wake up with a deliciously sweet panini breakfast sandwich. 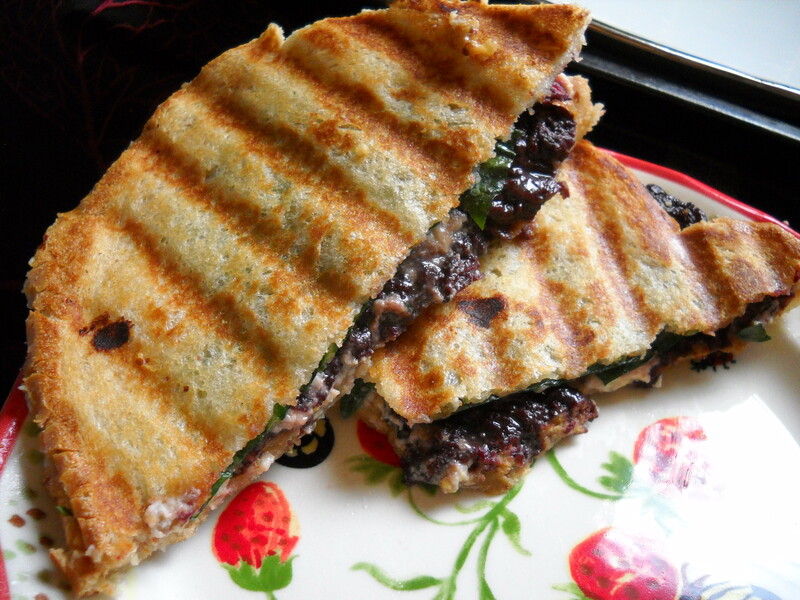 Color Me Vegan has a really yum recipe for a Nectarine-Agave Panini. I made one using cinnamon raisin bread. If you’re feeling a savory breakfast panini, make up some fresh waffles and load them with vegan sausage, vegan cheddar and maybe some tofu scramble and make that into a crazy panini waffle breakfast sandwich! I also really like the recipe for Leek-Pesto etc crostini in The Kind Diet. Although, instead of using the recipe for crostini, I make it into a panini. 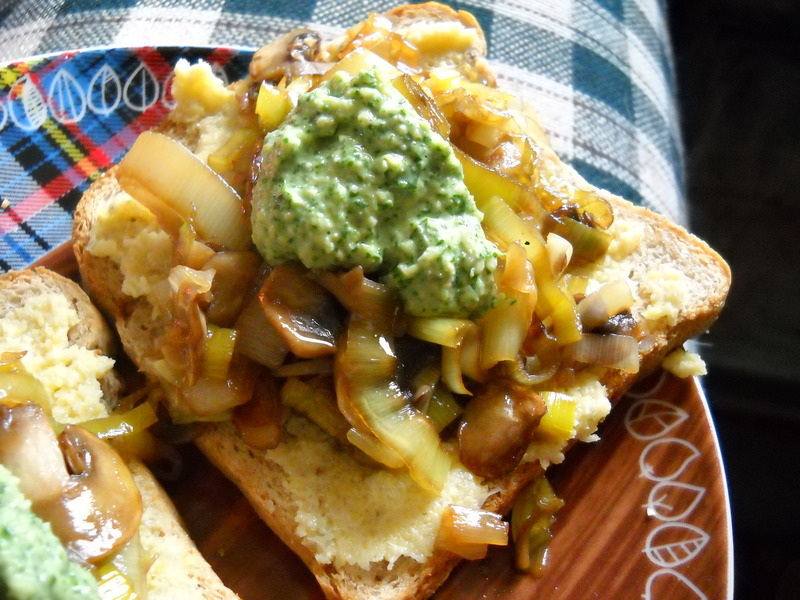 It involves a really good artichoke spread, sauteed leeks and mushrooms, plus homemade pesto. Up above is pre-grilling, but this sammie is super good. The Kind Diet is a great book for some lower calorie, healthier options. There are some really good recipes in there! Sorry for the blurry picture. This sandwich did not want to cooperate for photos because it wanted to jump into my mouth and just wasn’t being patient. 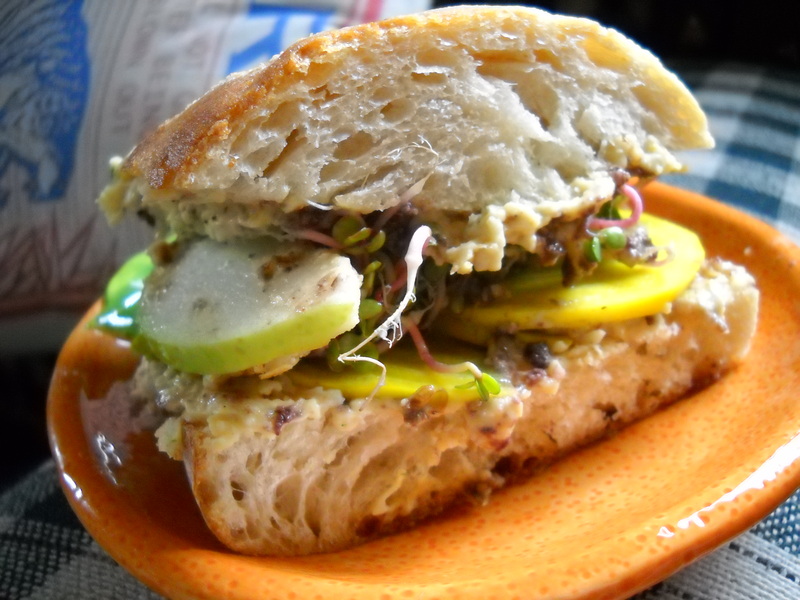 And….I know I am going to sound like a commercial for vegan cookbooks, but this really….reeeaallllyyy good sandwich recipe is from Viva Vegan. It’s called the Vegano Cubano Sandwich and it is awe-some. It consists of homemade seitan, plus vegan ham, plus bread and butter pickles and everything good in the world. It’s one of the most delicious paninis I’ve ever eaten fo sho. Fo. Sho. Take a bite out of crime. I mean panini. Take a bite out of panini. 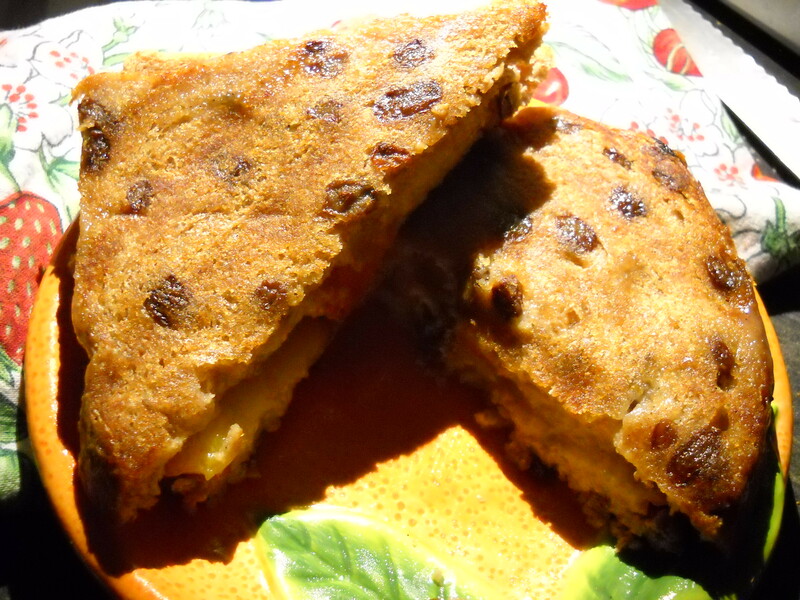 ← Apple-Cheddar Scones. Because Apples + Cheeze = WIN. These all look fabulous. Great, now I’m hungry! Like your blog. I’ll be back. Seriously wiping the pool of drool from my chin. That avocado and hummus panini, artichoke, mushrooms and leek with pesto and grilled cheez, need to be mine! These all look great. I’m going to have to make the cuban and artichoke leek ones soon. Cracking open those cookbooks. Thanks for sharing. Awwww yayyyy thank you! All of these look ah-maz-ing. Mmmmm – cannot wait to try them all…. Yummers. I agree with Bess – gonna have to wipe the drool off my chin, lol! Now, I issue you a VEGAN CHALLENGE. Oh yes, cause I know you can do this. 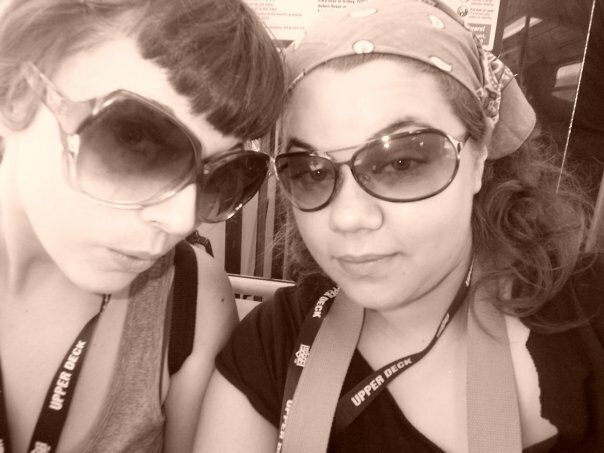 You’re amazing like that. Ummm we need a panini party asap… triple date w Bess? Can we all dress like crime fighting, I mean panini fighting, badasses alla Charlie’s Angels…. shall we call it, Jolly’s Angels. OMG. Branded.